Could Graceland leave Memphis and move to Nashville? It's news that took a lot of people by surprise this week: could the famed Graceland Mansion move to Music City? 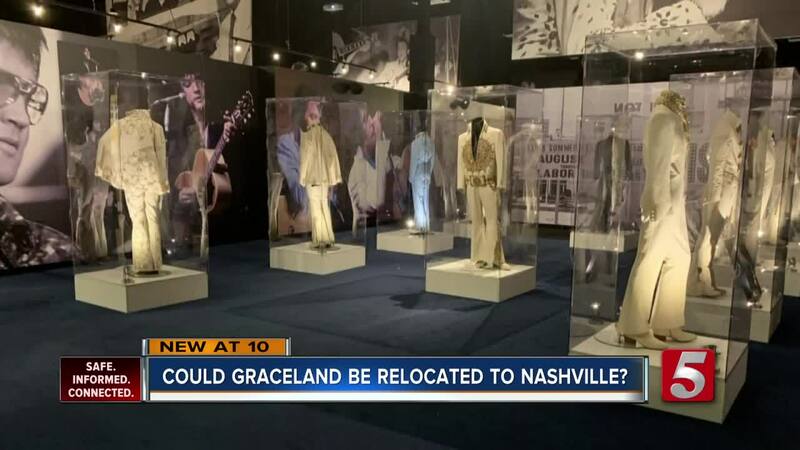 NASHVILLE, Tenn. (WTVF) — It's news that took a lot of people by surprise this week: could the famed Graceland Mansion move to Music City? Elvis Presley Enterprises -- the folks who run Graceland -- are pushing for a multi-million dollar expansion in Memphis, and right now they're looking to the Memphis City Council for a tax break as part of the expansion. A recent Wall Street Journal Article quoted an Elvis rep as saying: "We've had substantial offers to take every piece of wood and panel and move [Graceland]...listing Nashville as a possibility," unless they get a favorable tax deal. Victor Black with the Ernest Tubb Record Shop on lower Broadway says the idea seems a little outlandish. "It'd be like moving The Hermitage right outta here. Maybe they can make a trade... The Hermitage, for Graceland!" Black joked. To be clear, both the mayor's office and the Nashville Convention and Visitors Corp. says there's been no offer made.